AFI President Steve Leibowitz (right) with NFL commissioner Roger Goodell at the 2017 dedication of the Kraft Family Sports Campus. Credit: American Football in Israel. As Steve Leibowitz, president and co-founder of the American Football in Israel (AFI) organization, said to JNS, “the Patriots are Israel’s team.” Leibowitz says that the Patriots became Israel’s favorite NFL franchise thanks to the nearly two-decade old friendship between the AFI and Patriots owner Robert Kraft and his late wife, Myra. The Krafts have been the biggest supporters of football in Israel, assisting in the funding of the construction of a small Jerusalem football stadium in 2000, known as Kraft Family Stadium, near the Machane Yehuda outdoor market, and new Kraft Family Sports Campus on the outskirts of the city, which opened in 2017, boasting the country’s only full-sized regulation football field. The sports complex is a multimillion dollar facility built in partnership between the Krafts, the city of Jerusalem and Israel’s lottery authority. 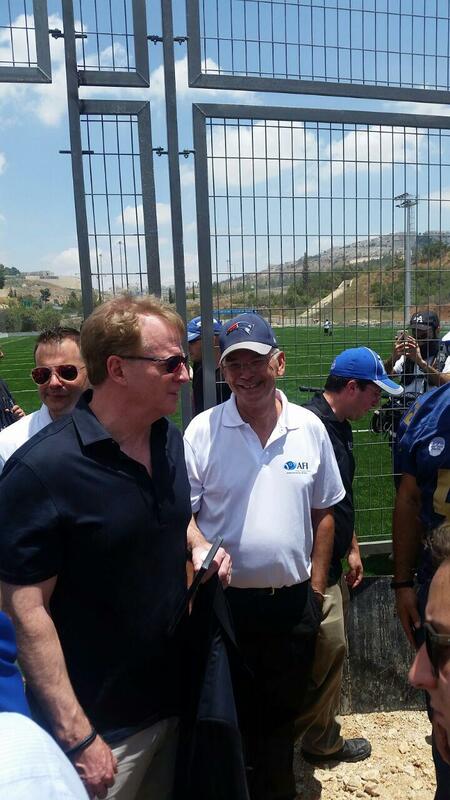 It was inaugurated in the presence of the Kraft family, NFL commissioner Roger Goodell and 18 NFL Hall of Famers — some of the best to ever play the game — who were invited to Israel for a week of touring by the Kraft’s. In fact, both the men’s and women’s flag squads are ranked in Europe, and Israel is hosting the European Flag Football Championships from Aug. 29 to Sept. 1 at the new Kraft Family Sports Campus. Betzalel Friedman is the AFI’s director of tackle football and commissioner of the adult men’s Kraft Family Israel Football League (IFL). He tells JNS that currently more than 800 adults and high school players, who are in separate league known as the Israel High School Football League (IHFL), currently play the traditional form of the sport with full pads and helmets. New England Patriots owner Robert Kraft at Kraft Family Sports Complex. Credit: American Football in Israel. 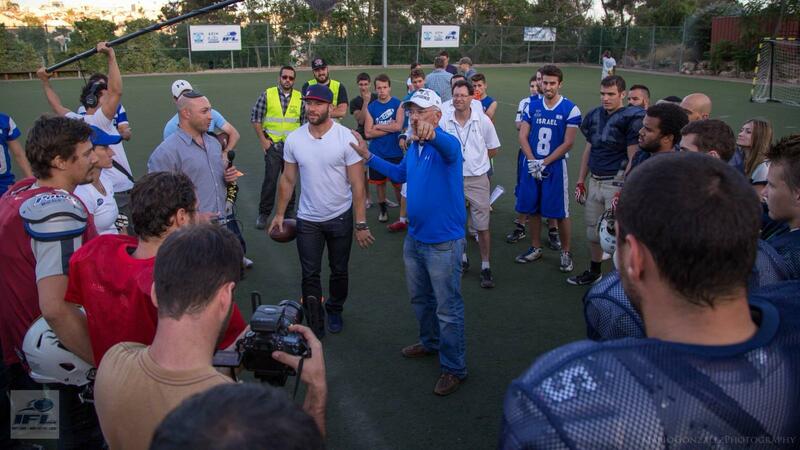 Super Bowl MVP Julian Edelman visiting Kraft Family Stadium in Jerusalem in 2015. Credit: American Football in Israel. 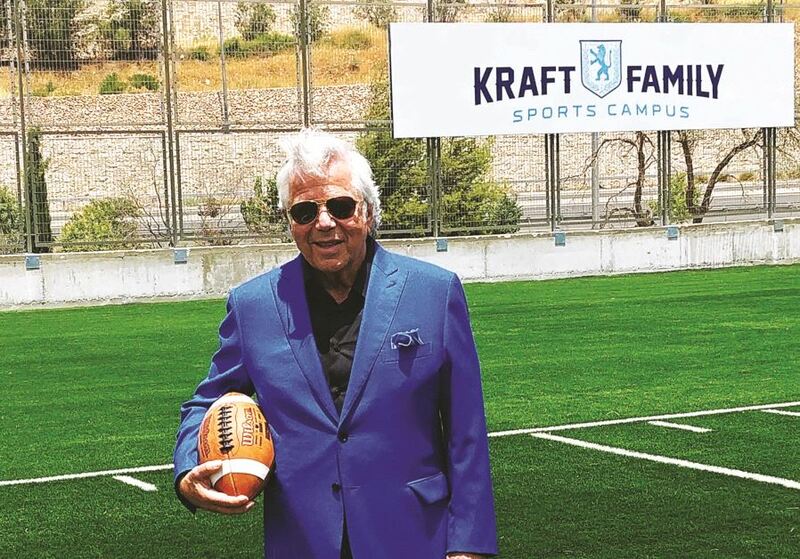 In addition to supporting football in Israel, Kraft has business interests in Israel, and is well-known for his philanthropic work in Israel and around the world. This June, he is set to receive the Genesis Prize at a ceremony in Jerusalem. Kraft has already decided to donate the $1 million monetary award to projects that combat antisemitism and the delegitimization of Israel. But for now, Leibowitz is savoring victory, and the fact the Most Valuable Player in the game was Julian Edelman, who identifies as being Jewish, and who several years ago made a special visit to Kraft Family Stadium to run drills with the younger players and give them some advice on football and life. “Football in Israel has a new hero,” says Leibowitz, explaining that it’s not only Tom Brady or Robert Kraft, but Julian Edelman, the Israel-identifying, Jewish-identifying Super Bowl MVP.